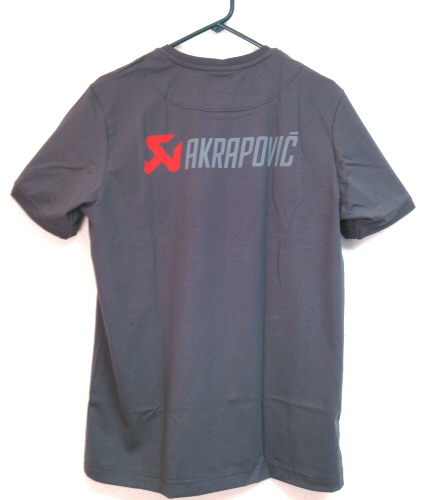 This official Akrapovic T-shirt is made from 100% cotton and features the Akrapovic logo and name screen printed on the front and back of the shirt. 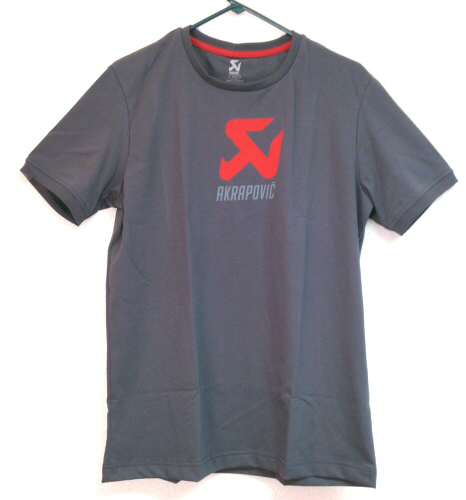 The shirt is made specially for Akrapovic and carries no branding information, but appears most similar to Hanes Beefty T-shirts in material density. *Please note: The front logo on this shirt is set off about 1/4 inch to the LH of center. We're not sure if this was intentioal or not, but if you are Mega OCD, this shirt might not be for you.